Hi! My name's André, and I'm the creator of the Gaming News Website, called Gokuss7. 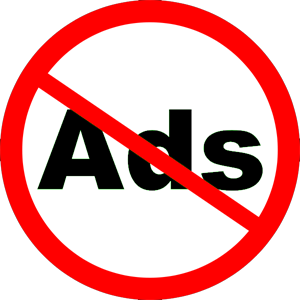 I have enjoyed my whole live playing video games, but lately I have observed a lot of gaming magazines and websites, where it does't matter what I click on or don't, everywhere you will see advertising and even more publicity popping up on your screen, which is very irritating. Because of that, I thought why not create a website where anyone can come and read and watch without any interruption, so I wanted to give something back to all of the gaming community in the world. I started with making the website and informing myself on where to get reliable sources and after some testing and learning I made my wish come true which is a completely free of ads gaming news website dedicates to inform you with the latest news regarding the video games universe has to offer in a nice and user friendly environment. Patreon is a service where you can pledge to send a regular payment to creators, so they can support themselves and keep making new stuff. Patreon is better for creators than advertising or sponsorship. The content is 100% uncompromising, payment is more predictable, and creators don't need to stop to click bait content or other shady practices. Patreon means that creators serve their viewers, not advertisers or corporate sponsors. And where the viewers choose what deserves to be made and who deserves a voice. You pay per month. I always release at least one written and one video review by month. The gaming news itself will be released as frequently possible, depending on my available time. I need the money to maintain the website without ads and pay the hosting fees - all while spending time in researching, writing, editing, and publishing the latest reviews for your guys to read and last but not least, to pay my bills. I also use the money to purchase equipment for improving my computer, console, webcam, pay a better internet service, purchase games to review and other stuff like that. You will have access to Patreon exclusive updates, including sneak peeks at future reviews. All my Patreon's will be added to my Discord server where you can discuss games with me and the other patrons, and occasionally take place in online gaming events where we will play together some game live. Being my Patreon & contributing in having a complete ads free website on where to read and inform yourself about the latest news of games. I sometimes receive free games from developers, but will make this clear in the description for any video that talks about the game at length. I work at a full time job at the moment and do this on my free time, so if there are any recommendations or improvements I should make, feel free to contact me over Discord. You will have access to Patreon-exclusive post, including early access at future reviews. You'll also be added to my Discord server where you can discuss games with me and the other patrons, and occasionally take place in online gaming events! Your name will be put in the credits of written reviews. Thank you so much for being my support and reason to trust into myself, you are helping me to change my life and make more cool free videos for anyone to enjoy! Add you to my Discord chat as a Advanced Gamer. This is really amazing, thank you so much for believing in me and contributing into my work. Add you to my Discord chat as a Pro Gamer. Your name will be put in the credits of video reviews in this month. This will help me maintain the website 100% ads free for ever!